Context: the Irish parliament’s proposal to legislate for abortion on the basis of the risk of an expectant mother committing suicide. 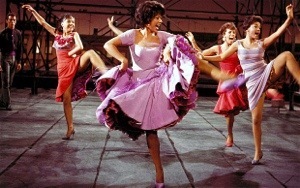 The real-life story of Oscar winner, Rita Moreno (West Side Story), recounted in her autobiography and reported in today’s Daily Telegraph, show where the real risks of suicide lie. After her relationship with (Elvis) Presley ended, she discovered she was pregnant with (Marlon) Brando’s child. “To my shock and horror, Marlon immediately arranged for an abortion,” she writes. It was this episode, she says, that prompted her suicide attempt at Brando’s home. Moreno was rushed to hospital to have her stomach pumped and her therapist begged her and Brando – who died in 2004 – never to see one another again. Is there room for heroes when this ethic rules the roost?